Orchard Cottage stands alone above the old farm orchard which was replanted in 2012 in the traditional manner with apple and pear trees. The accommodation on the ground floor comprises a large open plan living space with two distinct seating areas (one with magnificent views over the surrounding countryside), a dining area and kitchen/breakfast area. A further bedroom with ensuite bathroom is also located on the ground floor all of which benefits from underfloor heating. A widescreen television, with separate DVD player, complements the main seating area which also benefits from a woodburing stove. The first floor, accessed by an open tread oak staircase, comprises three bedrooms each with an ensuite bathroom. Two bedrooms upstairs have double beds with the other, and the downstairs bedroom, having the flexibility of zip and link type beds. All bathrooms have baths with powerful showers over, washbasins and WCs. The kitchen is equipped with a large electric range cooker, American style fridge/freezer with water dispenser, dishwasher, washing machine and microwave. Outside there is a large fenced South facing terrace with two separate seating areas, barbeque and steps giving private access to the orchard. Leisure facilities: shared heated 13 metre indoor swimming pool and sauna, extensive farm walks, croquet lawn, private fishing and clay pigeon shooting, wildlife safaris and camera deer stalking. Amenities: adjacent parking for up to three cars, bed linen, towels, electric, central heating and initial supply of logs included. Wi-Fi broadband access is available free of charge and there is good mobile telephone reception for all major operators. In addition to the washing machine located in Orchard Cottage there is an on-site coin operated laundry and drying room. Orchard Cottage is a no smoking building. 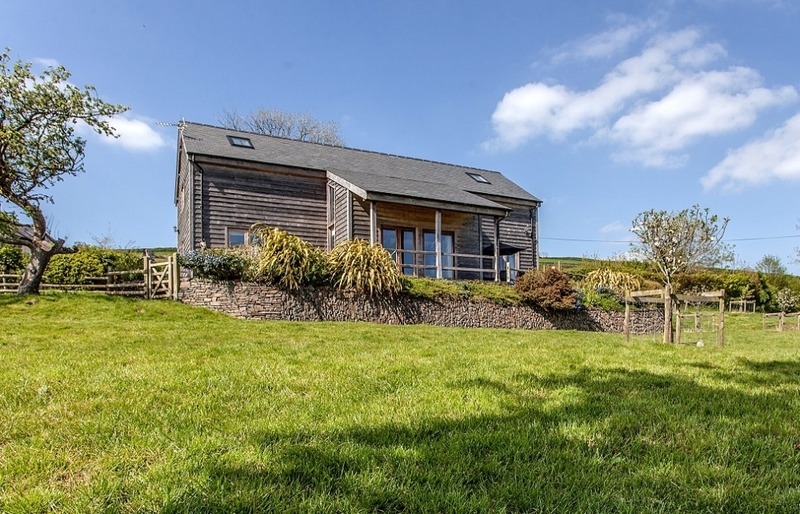 Local area: Whilst peaceful seclusion is guaranteed by our location we are only ten minutes from the A361 North Devon Link Road ensuring easy access to the glorious beaches at Saunton Sands or Woolacombe, both ideal for surfers or bathers alike. We border Exmoor National Park and are located a short distance from South Molton with its Farmers and Pannier markets held each week and a full range of shops, pubs and a supermarket. The larger town of Barnstaple is within 16 miles with numerous shops, theatre and cinema.